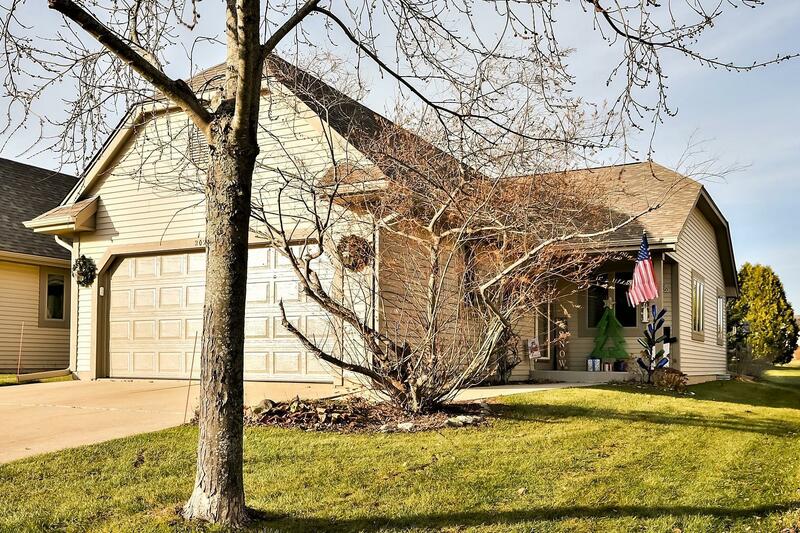 N162w20250 Butternut Ln, Jackson, WI.| MLS# 1615535 | Star Properties Inc.
1,772 sq ft - MLS# 1615535 Courtesy of Star Properties, Inc.
SELL the snowblower, its not needed here! COME & SEE this Open Concept Side By Side RANCH condo located in Jackson. HERE you will walk to your private front door with convenient covered overhang. STEP inside & be impressed with the VAULTED ceiling in the spacious living room w/cozy gas chiminea fireplace. KITCHEN has lots of counters & cabinets-sold w/appliances. Easy to care for tiled flooring. DINING area w/patio doors out to cement patio area & PRIVATE backyard - Great for entertaining! MASTER bedroom with walk in closet and private bathroom w/shower stall. BEDROOM #2 nearby with another full bathroom-shower over tub & WIC.LOWER level finished as family room w/office area. EVEN has a cedar closet. ATTACHED 2.5 car garage/1st floor laundry.NEW roof & gutters! What else could you need?